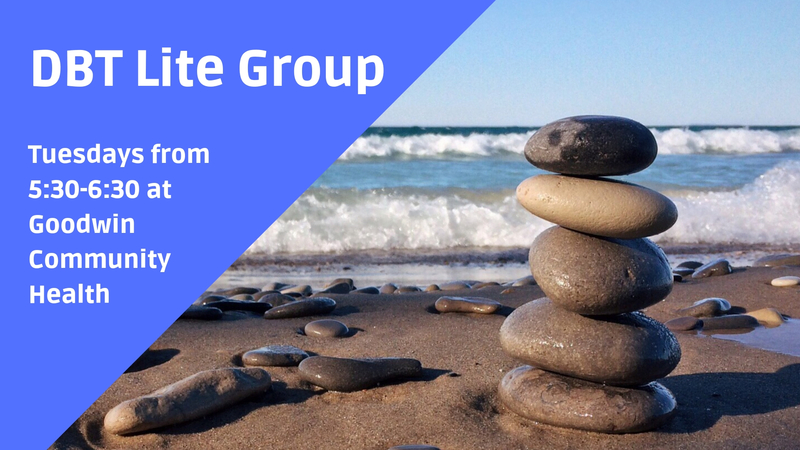 The Goodwin DBT Lite Group is intended to help people who are struggling with anxiety, relationship issues, impulsive behavior, and impulsive actions. The group will help people develop skills for emotional stability, and controlling emotions. The group meets for 8-12 weeks. Applications are also available at the Goodwin front desk.